Yangon is the former capital of Myanmar and is generally the first stop for many who visit this remarkable country. It’s got all the excitement and chaos of a big city yet is still quite juvenile compared with other Southeast Asian capitals like Bangkok or Phnom Penh. Yangon is extremely lively and you’ll find yourself looking in awe at a city that’s trying to catch up with modernisation, yet still holds practices from the 21st century. 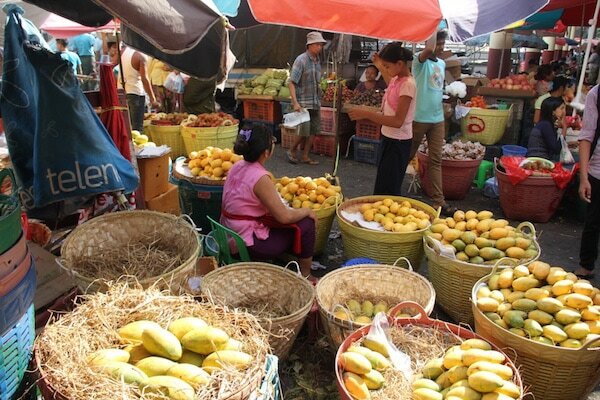 Street vendors replace shops, market stalls replace supermarkets and street food replaces fast food. It is a city that will fascinate you in more ways than you will expect. 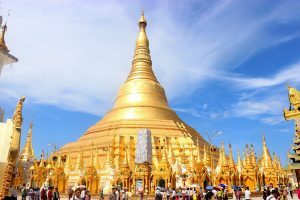 Most nationalities will need a visa to get into Myanmar, which you can obtain via the Official Government Website, and this 28-day visa does allow exit via land. It is very easy to fly directly into Yangon. Many airlines, including budget airline Air Asia will get you there directly from Bangkok or Kuala Lumpur. The airport is located about 30 minutes from town and the easiest way to get to the centre of town is to grab a taxi for 6000 kyat. There is a bus route, which is a little more complicated but will only set you back 200 kyat. You need to walk about 30 mins from the airport towards Pyay Road and then take bus number 51, which will take about 1 hour to reach the city centre. 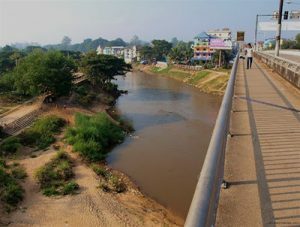 The main overland route into Myanmar from Thailand is at Mae Sot. 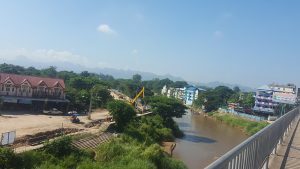 You can get the bus from Bangkok or Chiang Mai to Yangon via this route for around 1500 baht, but it is a lengthy 14 hours plus border crossing. We suggest staying a night in Myawaddy or Hpa-An on the Burmese border before making your way to Yangon by bus. Central Yangon is full of cars as motorbikes are outlawed, which makes traffic congestion quite heavy at peak hours. Despite this, Taxis are still one of the best ways to get around town. 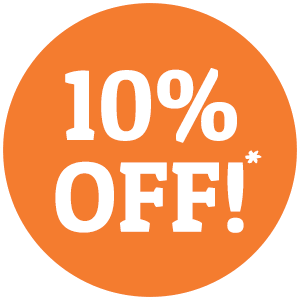 Usually you arrange the price with the driver before you commence your journey but prices are still very cheap. 3000 kyat will get you from one side of town to the other. 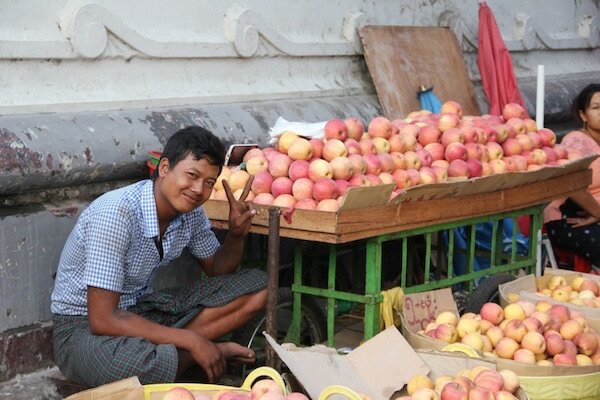 Walking through Yangon is easy and a great way to admire all the life that happens on Yangon’s streets. The curbs are alive with activity most hours of the day, with street vendors selling anything from watches to fresh fruit. The city is set out in a grid with streets numbered consecutively, which makes it very easy to navigate. The city also remains quite cool due to the way the city was designed, allowing the breeze from the river to flow through the alleyways. While Yangon does have heavy traffic they do give way to bicycle riders and you will find many locals getting from A to B on a bicycle. Bicycle hire is available for free from most guesthouses but if your guesthouse does not offer this you can get bikes for around 1500 kyat per day from rental stores. While not the most popular form of transport, some locals offer rickshaw rides around town keeping the old mode of transportation alive in an ever-changing era. You can get a ride in a rickshaw for around 1000 kyat but unfortunately the small tricycles can barely fit 2 people so you may be riding solo for this one. The Shwedagon Pagoda is the most sacred pagoda in Myanmar. 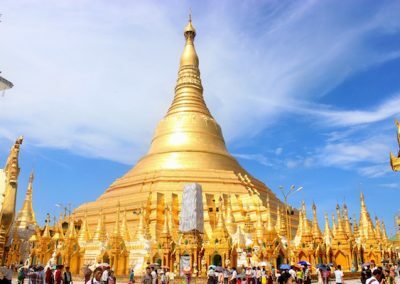 Over 2500 years old, this pagoda stands 110 metres tall in the heart of Yangon and is said to enshrine strands of Buddha’s hair and other holy relics. Each day hundreds of devotees and monks come to the pagoda to worship and provide offerings to this sacred Buddhist site. The pagoda is open from 4:00am to 10:00pm every day and is especially beautiful at sunset or sunrise. The entrance fee is $8 and to enter you must ensure that your legs and shoulders are fully covered. 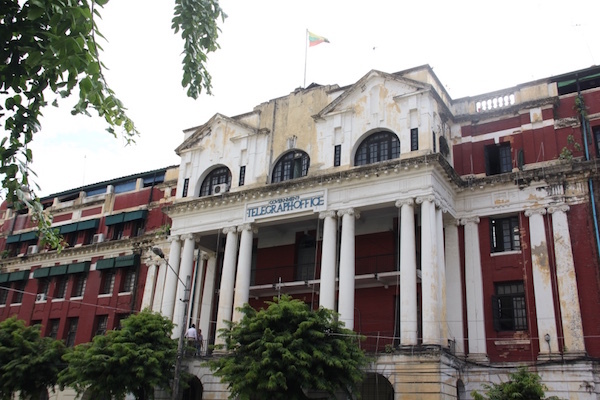 You may not know this but during the 1920’s Yangon was the third largest cosmopolitan in Asia and throughout the city you can still see remnants of that time. 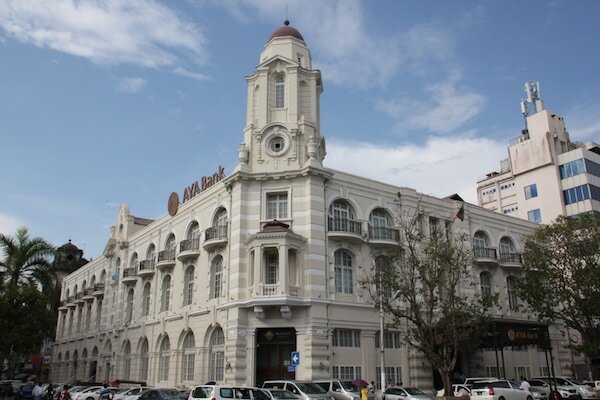 Buildings like the old telegraph office, the Strand Hotel and the Myanmar railway headquarters are all reminiscent of old English architecture. In fact, Gecko Bar still has the original 1906 tiles imported from Manchester. If you’re in town on a Wednesday or Sunday, Free Yangon Walks do a free walking tour, which starts in the car park outside Maha Bandoola Park (opposite City Hall) at 4pm. The tour takes you to all the essential buildings of Yangon and volunteers explain the city’s vast history. Stop off at Gecko bar afterwards for a 1920’s themed cocktail. Uncharted Horizons Myanmar is a social enterprise that runs bicycle tours through the outskirts of Yangon, giving visitors an insight into what life is like for a local. They take you by bicycle across the Yangon River and into small remote villages rarely visited by tourists. Have a drink at a local teahouse and enjoy some traditional snacks along the way. Uncharted Horizons is committed to helping the local community and supports various community projects including a small school. The Yangon Circular Train departs from Yangon Railway station (off Pansodan and Bogyoke Aung San Roads) every 45 to 60 minutes each day. Built by the British in 1954, the railway covers approximately 45.9 kilometres and stops at 39 stations. Locals and foreigners board the train each day at the low cost of 100-200 Kyats for non-A/C and 500-800 Kyats for an A/C coach. If you have a spare 3 hours this is the perfect way to get a glimpse into the true Yangon lifestyle and see the city at your leisure. You don’t need to walk too far before an enticing waft of tasty aromas drifts in your direction. Yangon is famous for street food, and it’s everywhere. Go on your own street food tour. Be adventurous and taste some street side chow. For as little as 50c you can sit down at one of the small noodle stands and grab yourself a bowl of tofu spicy noodles and chat with the street vendors. The Burmese love their tea, and a visit to Yangon wouldn’t be complete without stopping into one of the many tea houses that are tucked away in the city’s side streets. Short stools, little tables and old china will give you a look into an old tradition that has stood the test of time. Yangon has 2 famous lakes, Kandawgyi Lake and Inya Lake, both located not too far from the city centre. Kandawgyi Lake is located 1.5 kilometres from the city centre and is surrounded by a beautiful park with many nice cafes and restaurants, some which have great views of the Shwedagon Pagoda. Inya Lake is a little further north and is where you will find Aung San Suu Kyi’s House where she spent most of her time under house arrest. As far as museums go, this one is far by the most unique we’ve come across. Zombies demonstrate what being on drugs is like and you learn about the history of drug trafficking in Myanmar as well as the steps taken to eradicate it. The entrance fee is only $3 so it’s worth a few hours just for some interesting, perhaps surprising, information. 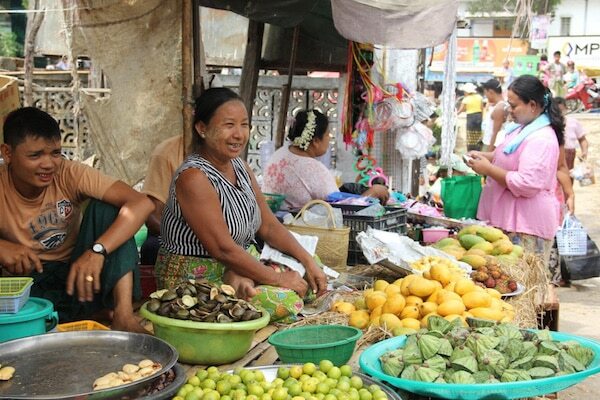 Visiting the local markets in Yangon is an experience in itself. The markets are brimming with activity, with vendors selling anything from handicrafts to food to jewellery and souvenirs. The oldest and best-known market is the Bogyoke Aung San Market, which has been serving Yangon’s locals for over 70 years. There is also Theingyi Zay Market and Anawrahta Road Night Market. If you’re looking to shop for a cause Pomelo is a great social enterprise that trains underprivileged children, people living in poverty and HIV sufferers to make very good quality and well priced gifts. There are two social enterprise restaurants located in Yangon, Yangon Bakehouse and Linkage Restaurant. Both these restaurants are dedicated to creating job opportunities, skills development and fair wages to disadvantaged people in the community. Stop in for a bite and support these great causes. There are about 12 Buddhist temples in Yangon, not including the world famous Shwedagon Pagoda. 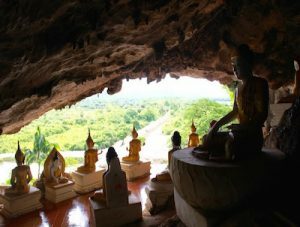 Spend some time exploring these religious shrines that much of Myanmar is famous for. 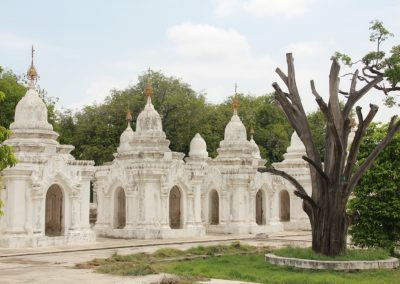 Some of the temples include Chauk Htat Gyi Buddha, Nga Htat Gyi, Baungdawgyoke Pagoda and Sule Pagoda. Street food is everywhere in Yangon and you can find good cheap food on every corner. Things like noodles, curries, samosas and spring rolls line most curbs, and there is an abundance of fruit for dessert. Whatever the season, you’ll find it. If you’re not entirely game enough to try the street food however, there are many restaurants located throughout the centre of town. Most are quite discreet though and you need to look hard at the signs to find them. A popular street for food is 19th street; here you can find many restaurants and bars. With 19th Street being the Khao San Road of Yangon this is also the place where you will find cheap alcohol. Bars and restaurants compete for customers, selling 80c Mojitos and offering free snacks. If you’re looking for something a little more upmarket try the Strand Hotel for a cocktail that will make you feel like you’ve stepped into the shoes of a character from George Orwell’s Burmese Days. In town on a Tuesday night? Pop into the Pansodan Art Gallery where you’ll feel like you’re in a 1920’s Parisian art studio. There are many guesthouses and hotels located throughout Yangon for as little as $20 USD a night. Most hotels charge in USD and then convert to kyat when you arrive. They accept both currencies. Hostels aren’t as common in Myanmar but you can find a few in Yangon, including top picks Agga Youth Hostel and Pickled Tea Hostel. The centre of Yangon would be classified as nearby the Sule Pagoda, but many hostels are located nearby 19th street, nicknamed the Khao San Road of Yangon, although nowhere near as animated. 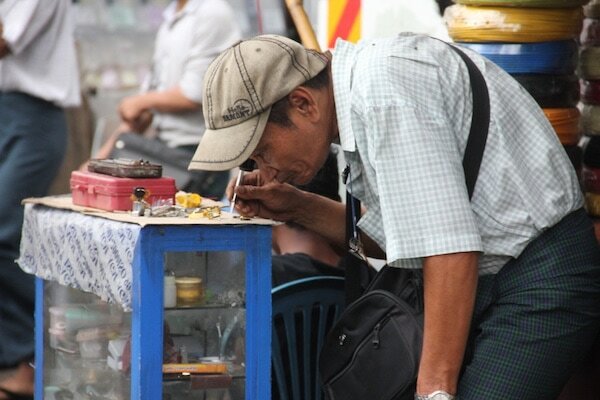 If you require medical care during your stay in Yangon visit a private medical clinic rather than a hospital. Recommended clinics are International SOS Clinic Yangon, Sakura Medical Centre and Asia Pacific Medical Centre. As far as safety standards go Yangon isn’t too bad compared to larger Asian cities. Maintain a standard level of precaution wherever you go but generally people here are quite friendly. ATMs in Yangon are plentiful and so is money exchange however, this is not the case for other cities in Myanmar. We suggest changing currency here if you have any currency other that USD, Euro or SGD. Many other cities do not change any other currency, even GBP. This is such a compact yet thorough guide to Yangon! 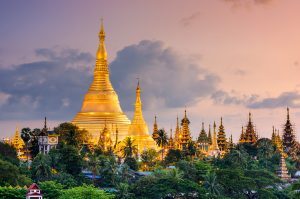 I’m from Yangon but have friends who are visiting while I’m out of town and I’m going to send them this site to use as a guide on their own. Thank you for the feedback Moe. I had such a great time visiting and I hope that your friends will find the guide useful while they are visiting as well.